I always say everyday above ground is reason to drink and we are giving you at least three chances every week to come out and drink with us at Wine Watch. And since we recently acquired a nice little collection of one of California's finest Chardonnay and Pinot Noir producers’ wines we now have a Peter Michael versus Aubert wine tasting on the calendar on Saturday April 27th. Owner/winemaker Mark Aubert has had a distinguished winemaking career including a 12-year stint at Peter Michael where he followed Helen Turley. Aubert succeeded Turley again several years later at Colgin Cellars. He has been a winemaking consultant for several prestigious wineries including Sloan, Bryant and Futo. He crafts outstanding vineyard-designate Chardonnays and Pinot Noirs from estate and leased vineyards in the Russian River Valley and Sonoma Coast in a full-blown hedonistic style. The first wines were released with the 2000 vintage. Ulises Valdez is Aubert's vineyard manager. The winemaking process at Aubert is carefully guided by a winemaker with a farmer’s heart and artisan’s soul. The essence of making great wine is rooted in a relationship with the land – it’s about the soil, about growing, about nurturing, about farming. 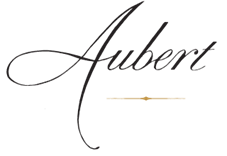 At Aubert the look to nature for guidance and to science for insight, as they craft wine with minimal intervention so a sense of place is elegantly reflected in every bottle of Aubert wine. Until 2008, the two Pinot Noirs have been from the Reuling Vineyard and UV Vineyard, both located in the Sonoma Coast AVA. A new estate Chardonnay and Pinot Noir vineyard has been planted adjacent Reuling, 4 acres of Pinot Noir were planted at Ritchie Vineyard in 2008, and 9 acres of Pinot Noir have been planted at a new site high above the town of Occidental. In 2008, there were six different single vineyard Chardonnays and five Pinot Noir wines. A new winery located at 333 Silverado Trail in Calistoga, CA was acquired in 2010 and the Auberts will move into the 8,000 square foot winery in January 2011. With all of the critical acclaim that Mark has had over the years these wines have become some of the hardest to come by in all of California, most of them are only sold through the wineries mailing list. Join us as we experience 10 different wines from Aubert Winery along with a special tasting menu for less than the cost of a single bottle of most of the offerings from this new California Cult Chardonnay and Pinot Noir producer. 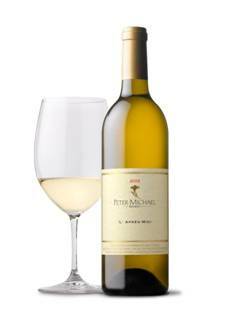 The fee for this tasting is $195 + tax for reservations call 954-523-9463 or e-mail andy@winewatch.com. There are only 14 spaces available for this tasting and the fee is $195 + tax, for reservations call 954-523-9463 or e-mail andy@winewatch.com. In 1982, after an extensive, seven-year search for California property to serve as both family retreat and vineyard, Sir Peter Michael purchased 630 acres of volcanic ridges on the western face of Mount St. Helena in Knights Valley. For the entrepreneurial founder of Quantel and frequent visitor to Northern California, it was love at first sight. In 1983, with the help of his wife, Lady Michael, they planted red Bordeaux varietals in the volcanic soils at the site. Four years later they hired Helen Turley to make their first wine, the 1987 Mon Plaisir Chardonnay, produced from fruit grown at the nearby Gauer Estate (now Alexander Mountain Estate) in the Alexander Valley. 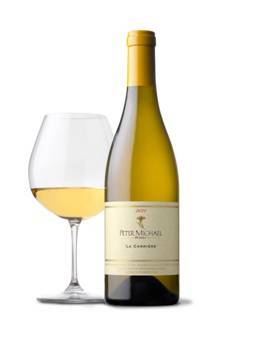 The wine was followed a year later by their first Cuvée Red Bordeaux Indigène Chardonnay, a barrel selection of wine fermented with indigenous yeast. Over the years the family expanded their plantings of red Bordeaux varietals on the lower, warmer sites and Chardonnay on the higher, cooler portions of the estate. To take full advantage of their unique conditions, each block was delineated and developed based upon the intricate puzzle of terroir. 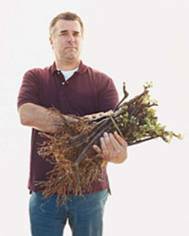 Soils, microclimates, topography and exposures were all considered in the selection of varieties, rootstocks, row orientation, vine spacing and drainage. In addition to the vines, the family also ensured the long-term natural balance of the estate by restoring native habitats and extensively reforesting with native species trees. In 1998, the family purchased the 400-acre Seaview property located on the true Sonoma Coast. This amazing site possesses the best attributes of both coastal and mountain sites. While the climate is quite cool throughout the growing season, its location above the fog line provides enough sunlight to fully ripen the fruit. Seaview was planted to Pinot Noir in 2006 and 2007. In 2009, the winery also purchased a 41-acre parcel on a raised plateau overlooking the east side of Napa’s Oakville appellation with 26 planted acres of red Bordeaux varietals. 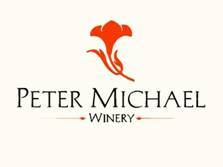 Some of the most illustrious names in the industry have served as Peter Michael’s winemaker including: Helen Turley, Mark Aubert, Vanessa Wong, Luc Morlet, and current winemaker Nicolas Morlet. Throughout its history, the winery has continued to reflect Sir Peter’s founding credo of “mountain vineyards, classical winemaking, limited production.” In keeping with Sir Peter’s “100 by 100 plan” – 100% family ownership for at least 100 years – there has been a generational passing of the baton at the estate. Over the past few years, son Paul Michael and his wife Emily have assumed increasing responsibility in the strategic direction of the winery.